Occasionally people ask me about things that aren’t big or complex enough to warrant their own article. But if I get enough of them, it is! In addition, you also learned that if people ask me stuff, there is a good chance they can get articles with answers. Let’s get this out of the way, something that the sword fighting community is already well aware of. If you attack at a level lower than your shoulder, you lose distance. There is a lot of really high quality renaissance artwork depicting this exact principle that I could have easily used instead. 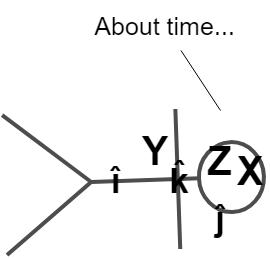 Since I assume you read everything I write, and hang on my every word, I assume you have immediately made the connection to force vectors I described in Force Vector: More than a science-ey sounding name. 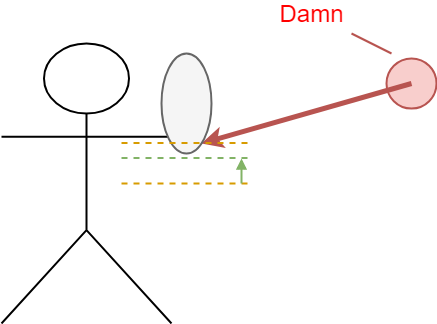 In that article I talked about considering force as a vector, but remember that we can vectorize* anything. 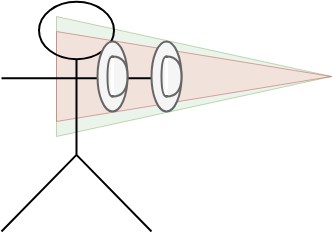 In this case it can be helpful to think of the position vector. By adding a vertical component to the vector, we reduce the horizontal component. Which is typically undesirable, as the horizontal component is the distance between us and our opponent. The last note to remember: it’s the distance above or below your shoulder which makes you lose reach in your attacks. If you get the shoulder lower, than that height becomes the “longest reach” height at the moment. Normally I try to keep this about martial arts, but lets talk sports for a minute. Why is the goalie (the one with the #1 on his back) so far away from the net (the thing the other guy is trying to put the puck in)? It’s because he is trying to ‘cut down the angle’. The further out the goalie is, the more of the net he can block off from the shooter. 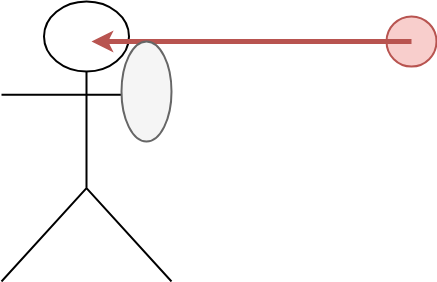 The further forward you get a blocking object, the more effective space of the target it protects. 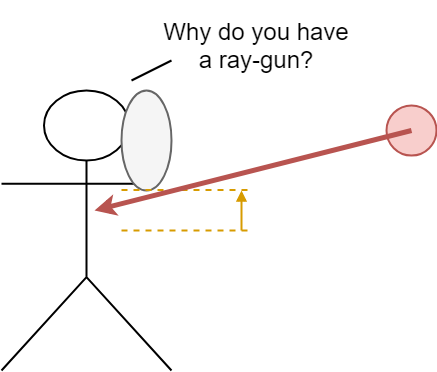 Let’s give our stickmen a break from getting stabbed with swords, and shoot them with ray guns instead. I gave him a shield to defend himself. He did so poorly. Not liking getting ray-gunned in the face, our test subject raises their shield. I just remembered that I can’t make the clip-art stickman’s arms move. Opened up a really big gap underneath. But what if they had had the fully extended forward from the start? 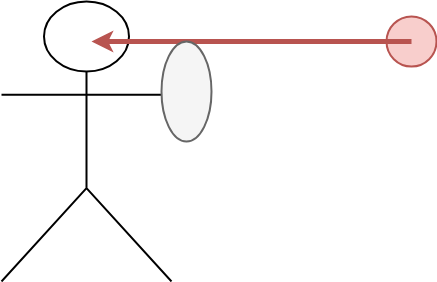 Our brave stickman now has to move the shield much less, meaning the initial block is faster. They also have opened up less area of their body, and will be quicker to protect it. 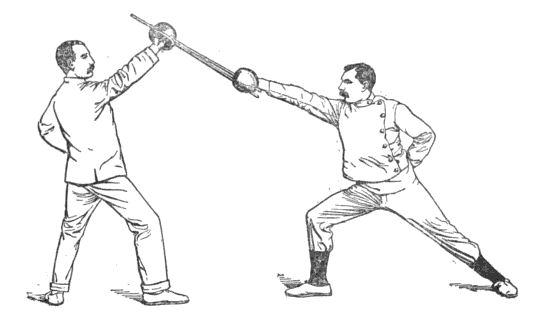 Sword and Buckler fighters will often talk about a ‘Cone of Defence’ afforded by a bucker. This describes the region behind the buckler which is (relatively) safe from being attacked by the opponent. 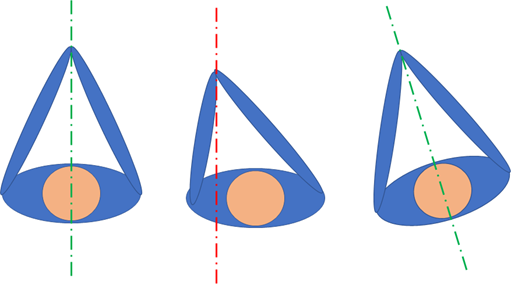 Moving the buckler forward increases the size of this cone of defence. This doesn’t only apply to shields. It applies to anything that you are using to keep you safe from the other person’s weapon. What else do we use for that? Moving the sword further forward means you have to displace it a smaller amount to get the same protection*. 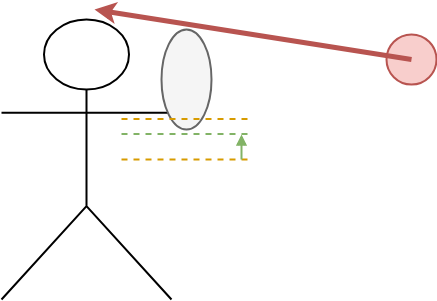 Driving the sword forward in an effort to displace the opponent’s blade can also produce an equally significant ‘parrying’ effect as keeping it closer to your body and moving it further to the side. There are lots of additional tactical and technical considerations to each, but keep this in mind when performing actions that attack into your opponent’s weapon. *protection for your body. Your hand is a different matter. Doesn’t that name sound cool? When describing stuff, mathematicians have their go-to algebra symbol: ‘X’. When they need something else, the go-to is ‘Y’. Using those great 1st grade pattern recognition skills, I’m sure you are way ahead of me in guessing Thing 3 is slapped with the ‘Z’ label. The zettel never prepared me for this! Then the Z-Axis rotation would be rotating the sword around it’s long axis, spinning the blade. Or in other words, I just used 184 words to describe winding in an overly-convoluted mathematical way. Both of these things help you get a better mechanical advantage over your adversary, but have a natural limit. If you cross over the centerline too strongly you take the sword out of your body’s centerline, and lose structure. The way to avoid this is to turn your body to match the new position, which then creates its own tactical problems. Moving your hands (and thus your hilt) higher will, in most cases, only do good things for the leverage on the blade. It will not always do good things for your body positions. There is a natural mechanical limit to how far you can raise your hands. Fortunately there is a good solution to both of these problems. Z-Axis Rotation! I didn’t subject you to those crazy letters for nothing. 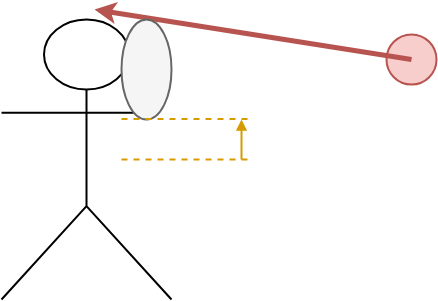 By rotating the sword around the ‘Z-Axis’ we can achieve a larger centerline cross, and higher hand positions while mitigating the negative biomechanical effects. 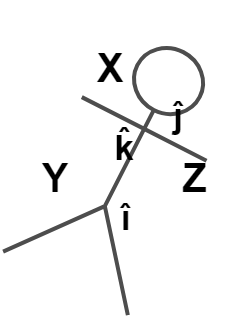 This is at play with techniques such as a shielhau, or thrust in quarta. This is less “I tell you cool things” and more “Food for thought”. We are well aware of the moment of inertia of our swords in the typical X-Y planes, aka the normal cutting plane. Even if you still don’t know WTF I’m talking about, we’ve all picked up swords and swung them to see how they feel. 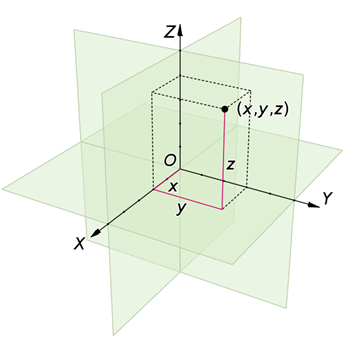 What we don’t always think about is the moment of inertia about the Z-Axis. The reason we wouldn’t, is because usually it’s not all the important. By and large, two different longswords aren’t going to have enough of a difference in Z-Axis inertia to make an appreciable difference. But what about between sword types? 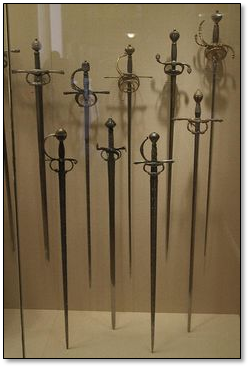 A rapier with a big complex hilt, or a saber with a curved blade will have a much higher Z-Axis Moment of Inertia (I’m going to start calling it Z-Inertia because it’s shorter and sounds cool). Now, if we have the sword rotate ONLY about X-Y and NOT about Z the counter attack will be delivered with the false edge. In order to bring the true edge to bear the sword must also be flipped 180°! 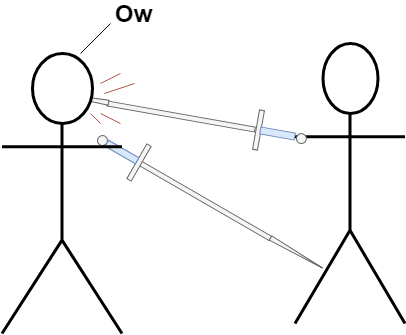 The higher the Z-Inertia of the sword, the harder it is to engage this rotation, and different muscles have to be engaged. 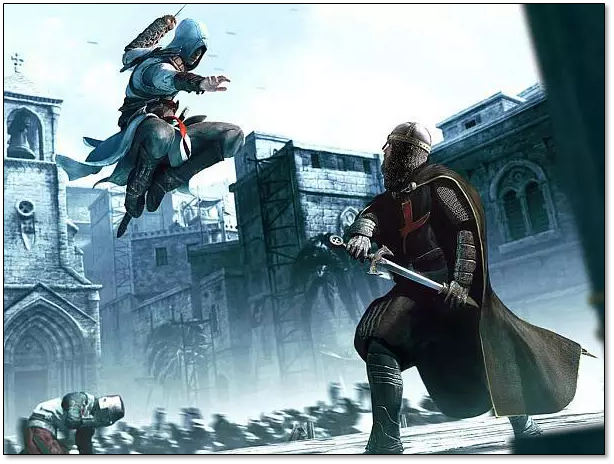 While grip may be sufficient for something with a low Z-Inertia, like an arming sword or dueling saber, a different mechanic involving muscles further up the arm may be required for high Z-Inertia weapons like a rapier or curved heavy military* saber. Once again, this is not a place to write about techniques or interpretations, but chew on this the next time you are thinking about the technical differences of different styles for different weapons! * aka a saber that is an actual weapon. 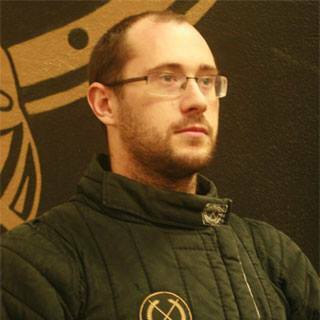 I already pissed off all the rapier people, might as well double down.